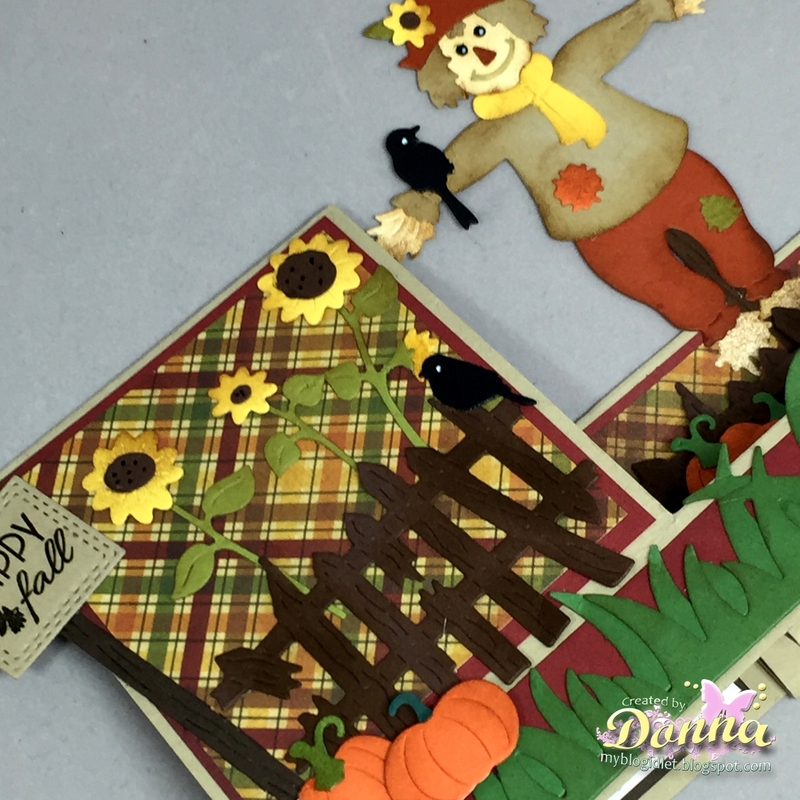 It's Donna here thanks so much for stopping by today! 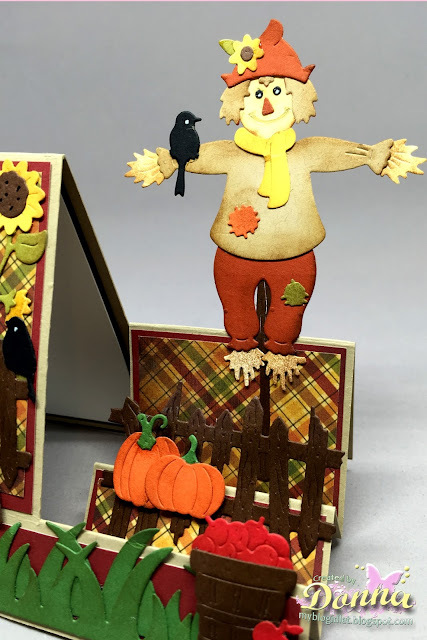 I am here with CottagCutz showcasing the 2nd part of the Christmas and Autumn dies release. If you haven't been over to the online store, you should definitely go and take a look at all the new goodies. 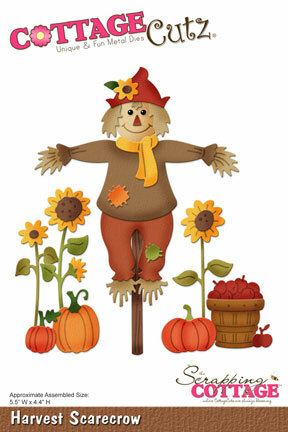 The best part is the Harvest Scarecrow is 25% off plus many more of the new release for a limited time. 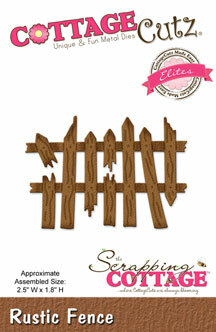 Don't procrastinate, rush right over to the store and get some of these wonderful dies. 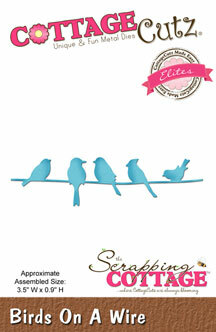 I love them all, I have so many ideas in my head I cannot get them all done fast enough! I am featuring several of the new Autumn release dies, so lets get started on how I created my Split Step Card, it can also be called Side Step Card. 2. 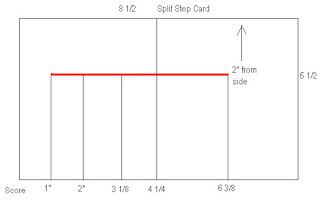 I then cut and scored my paper, where the red line is you put your paper in your paper cutter at 1" and cut down to 6 3/8. 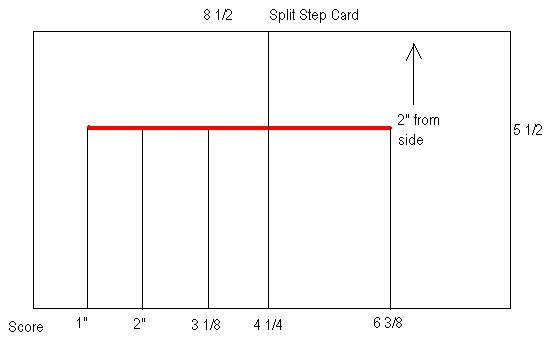 The other lines you score at 1", 2", 3 1/8", 4 1/4 and 6 3/8. This image is not mine, I found the image on google. 5. 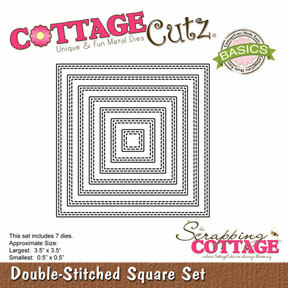 I finished the card off by stamping my image on the second to the smallest die from the double stitched square dies. Whew, I think I got everything! I had so much fun making this card, I hope I have inspired you to make one for yourself. Closer look of the right side of the card. 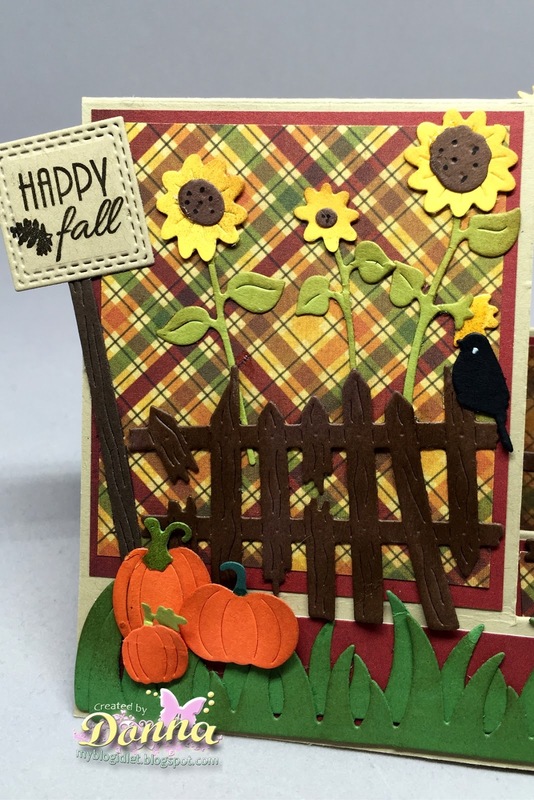 Closer look of the left side of the card. Don't forget to check out some of the other design teams projects from this beautiful fall/Christmas release. What a fabulous card with all the fall details, love the plaids too, I don't have a scarecrow die (yet) and this one is awesome! 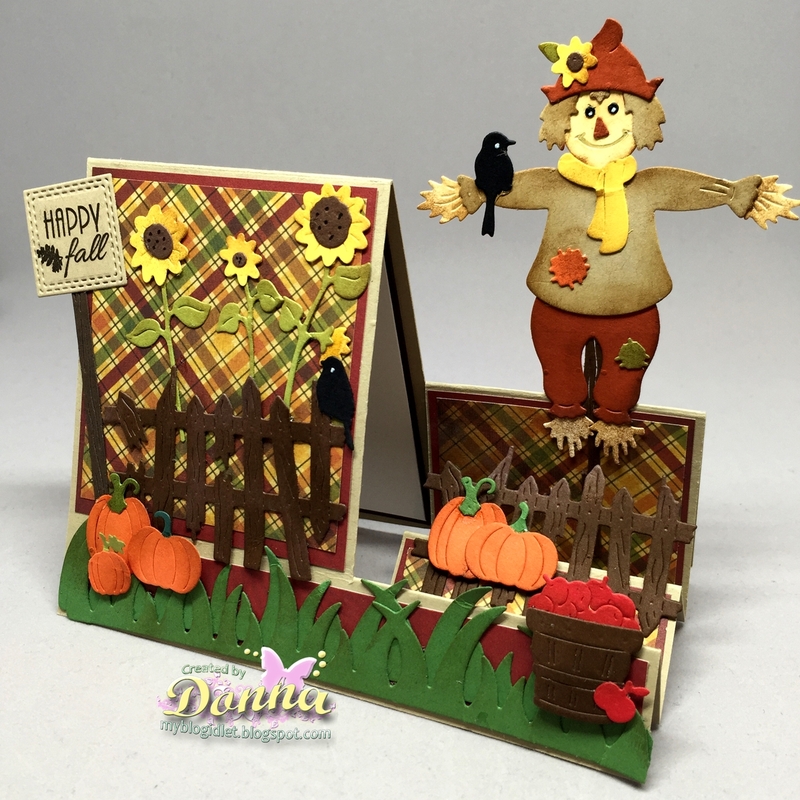 A side step card is a great way to show off this super sweet scarecrow image Donna- I love it!! Beautiful card! Thank you for tutorial! Thank you Diane! It's on sale right now if you really want it!